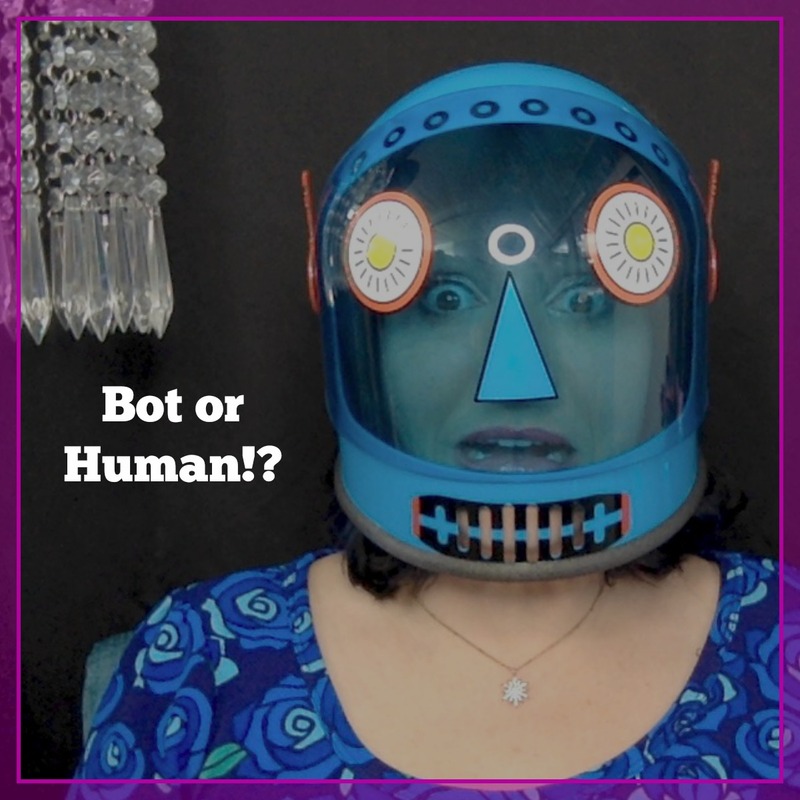 If you’re not sure what I’m talking about when I use the phrase “Social Media Automation Bots” or “Facebook Messenger Bots,” I’ll start with one clarifying question: Have you ever gotten strange, vaguely “human-esque” comments on your Instagram or Twitter posts? They might read something like this, “Cool!” or “Nice pic!” or “Great shot!” and include a gang of emojis. Ever seen something like that? I’d be surprised if you haven’t, and today I’d like to be the first to welcome you to the world of social media automated messenger bots! Messenger bots, or just “bots,” have been around for a while. Essentially, they automate your social media so you can reach more people, communicate with people in your area of expertise and (hopefully) build your business. Working with bots is like having your own little robot assistant who does all the busy work of finding, reaching out and connecting with your audience. Wait, are we still human here!? Are we actually connecting with PEOPLE or are we all just robots now!? I don’t know about you, but I want to be a real human. I’m an on-camera confidence coach and a Facebook live expert; so YES, I want real-live interaction with real, live human beings! …But that doesn’t mean that messenger bots can’t still serve a useful purpose. If we use them ethically, bots can make a HUGE difference in expanding our business and helping us connect with others in a meaningful way! Here are 5 practices to put into place to use bots ethically – aka, in a way that helps the human race and doesn’t harm it. And by the way, this is important not only because we’re human beings and we have morals and values, but also because when you troll everyone with your bots, people can see right through it and they will tune you out. Not good for business. If you don’t have your values in place and honor them, things will go awry. Your values are essentially the core reason why you’re in business, what you want to accomplish with your business and HOW you wish to accomplish it. For instance, I coach people so they can share their authentic self, spread joy and connect with other human beings kindly. Those values inform every move I make in my business… including how I choose to use automated bots. Your values should inform your choices, too. If you’ve created an ideal client avatar (like so many of us have been told to do) and you market to that avatar, your efforts will not be as successful as if you were speaking to a real, live human being. As you look at your numbers, remember that they’re not just statistics – the people on the other end of those numbers have feelings, thoughts, perspectives and fears. Create all your content as if you were really making it for a REAL person! This is where we can use the bots to our advantage. Your bot can automatically send valuable content to your audience members when they opt in or comment on your content. But the catch is that your content must be valuable! It must enhance the life of the human being on the receiving end, or your open rates will suffer. Just remember: value, value, value! 4. Once Your Bots Have Introduced You … Connect With the Human Being on the Other End! I realized something wonderful about the Instagram bots I mentioned earlier: if I actually respond to the vague, computer-y comments that bots leave on my posts, a real human being starts to interact with me. Then we are actually able to develop a relationship, albeit over social media! The bots offer something wonderful on my end as well: when someone responds to a comment that my bot has initiated, then I know that person is interested in my work. I can respond, start a dialogue and it saves me a TON of legwork in finding new prospects. 5. Don’t Be a Salesy Weirdo! This one should be easy if you follow all the steps I outlined above. Get in touch with your values, know that you’re speaking to an actual human being, provide value, solve their problems, connect with them as real people, and then when it comes time to make an offer … just don’t be a salesy weirdo! You got this! Get out there and make a difference in the world of the people you serve. And if you want more in-depth, specific information, be sure to watch the video above! Would Initial caps work too? Bot Me? bot me? It’s the same as email automation. I was BORN in 1999! :p <3 LOL! Camera confidence course is so much more its about getting all the Values and behind the scenes stuff taken care of….LOVE the course. Be a human! Connect with realness! 😂😂 wait is it 2 words? Don’t be a salesy weirdo! That is freaking awesome!!!!! No more email spam with no end in sight. Overcoming objections is the best! Some will some won’t someone is waiting. how do you get your logo on top of Belive logo? Ain’t nobody got time for all of that! Salesy weirdos are not cool. Thanks so much for this tip at Live Leap! I got it right away~ that’s amazing! I want to learn to do a BOT!!! !